would like to change hostname and domain name for my Linux server. Where can I set the local hostname and domain name of my server? 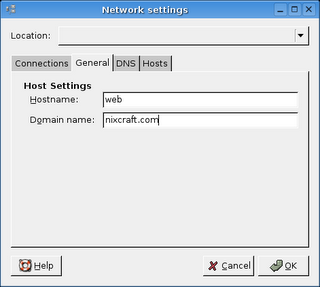 You can use hostname/hostnamectl command to show or set the system’s host name and dnsdomainname command to show the system’s DNS domain name. But the changes are temporary if you use these commands. Local hostname and the domain name of your server defined in text configuration file located in /etc directory. 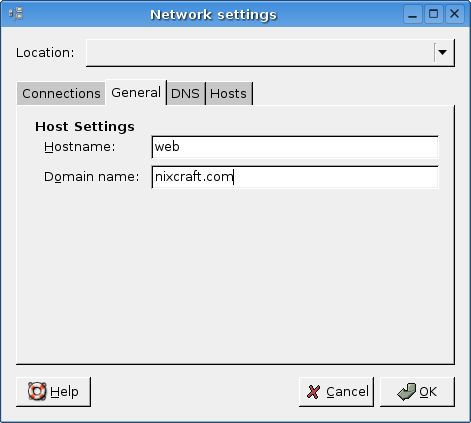 Where, web is hostname and nixcraft.com is your DNS domain name. Please note that you must have properly configured DNS server to work FQDN based hostname. See how to configure Linux as a dns client.